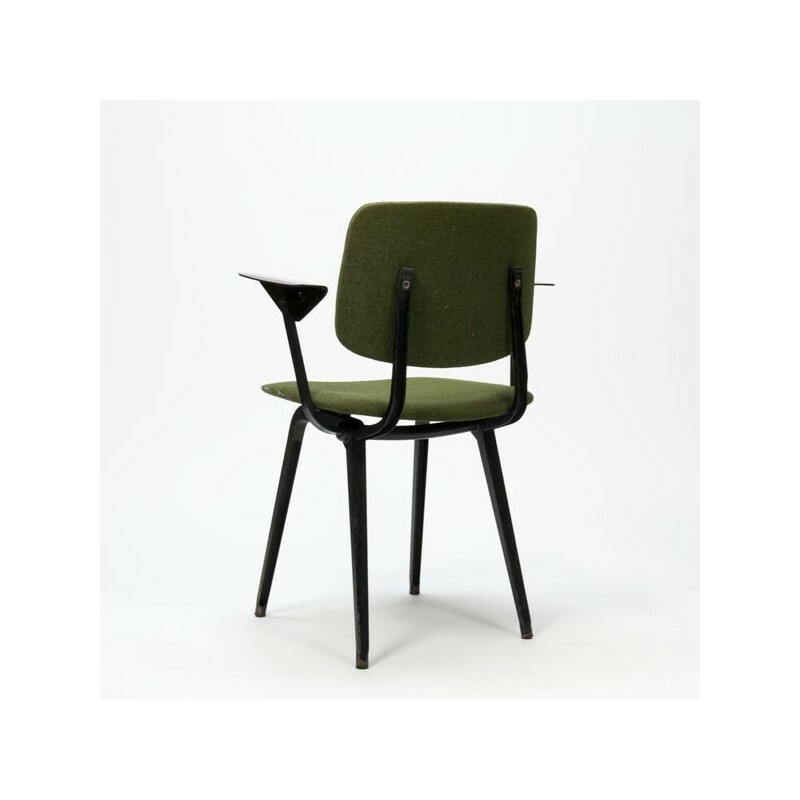 Industrial design chair. 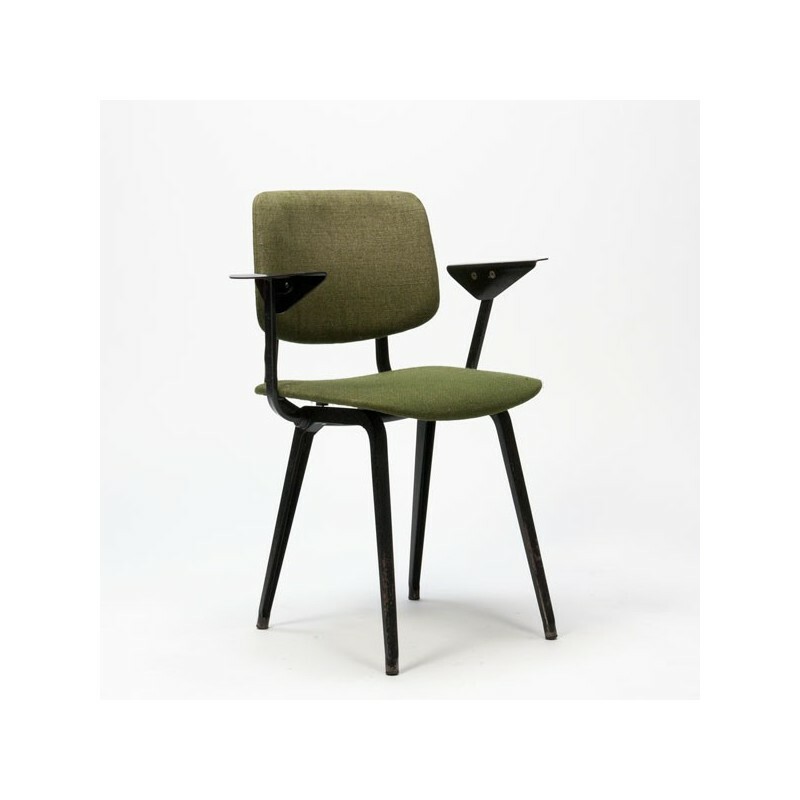 The Revolt chair is designed by the Dutch designer Friso Kramer for Ahrend de Circel in 1954. 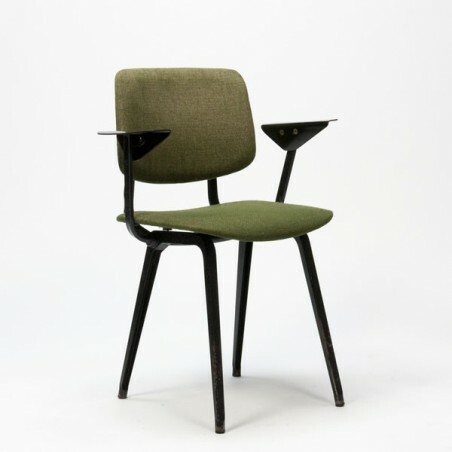 This chair has a black base and a seat and backrest have a green upholstery. The chair is given it's age in a good condition. See also the detailed pictures. The size of the chair is 47 cm SH/ 81,5 cm H/ 59,5 cm W.